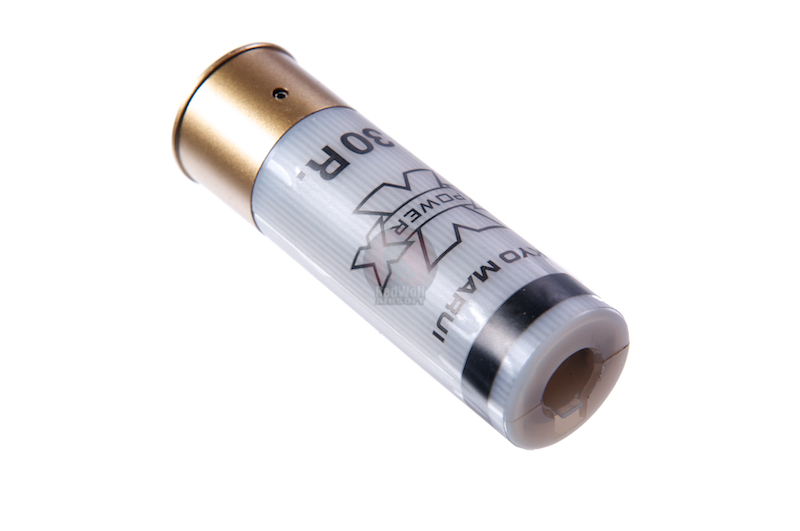 Continues to use Marui Shotshells (new and old). 3 inner barrels, each equipped with a fixed hop-up. Each shell has a capacity of 30 BBs. Gas is stored in a removable gas cartridge stored in the stock of the gun. Switch between 3 and 6 shots with a fixed hop up. Thank goodness for Tokyo Marui, which continues to innovate for the Airsoft market. Their latest invention is a novel new shell based system that allows their M870 shotgun to shoot between 3 to 6 BB's at a time (it's either 3 or 6, you can't choose anything in between). 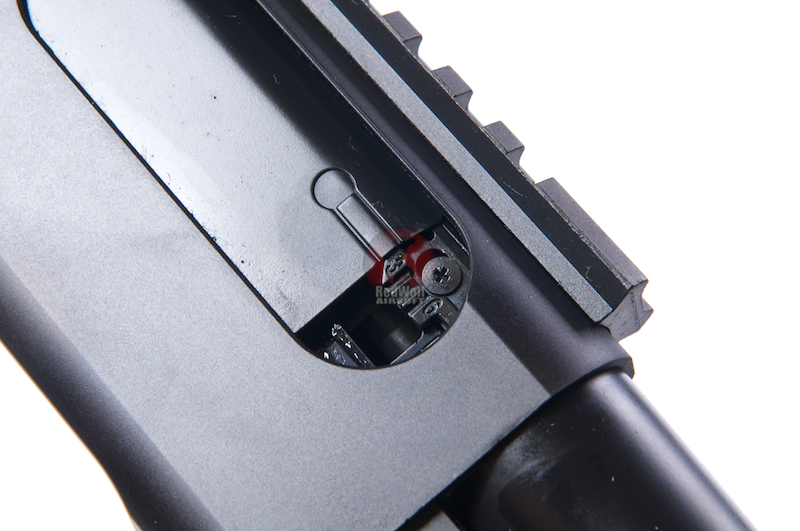 Going with tradition of it's older shotgun lines, this new M870 also has 3 inner barrels, each equipped with a fixed hop-up. 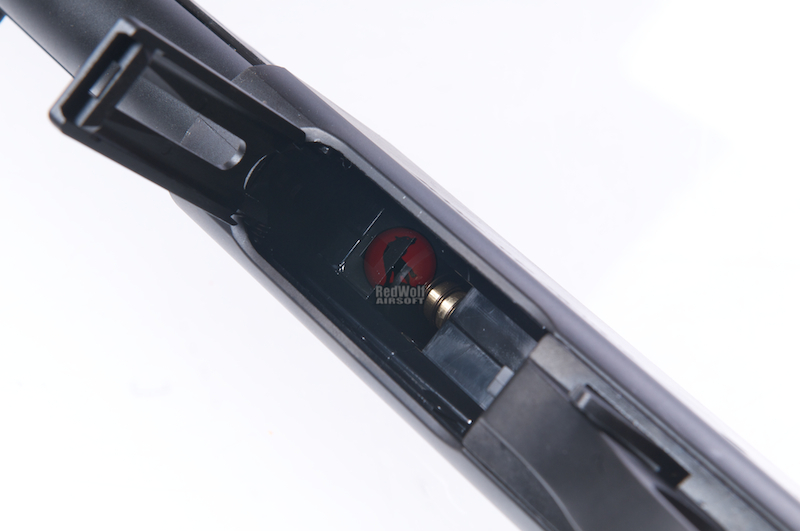 Each shell has a capacity of 30 BBs, so you can keep shooting until the shell runs out of ammo before ejecting it. The gun only holds one shell at a time, and it only comes with 1 shell on purchase. Of course, additional shells are available for sale separately. 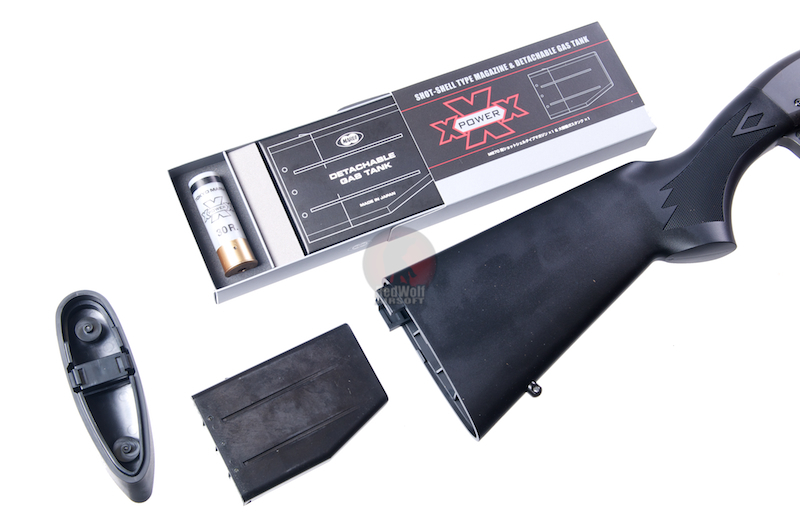 The gas is stored in a removable gas cartridge stored in the stock of the gun, and additional gas tanks are also sold separately. The gun is decently hefty and definitely heavier than the older Marui M3 and SPAS 12 shotguns. With a full metal barrel and a zinc alloy receiver, the gun actually feels nice to hold. Plastic stock and foregrip. The BEST part of this gun is the sound it makes when you rack it. Lots of clicks and clacks which sounds convincingly menacing and real. 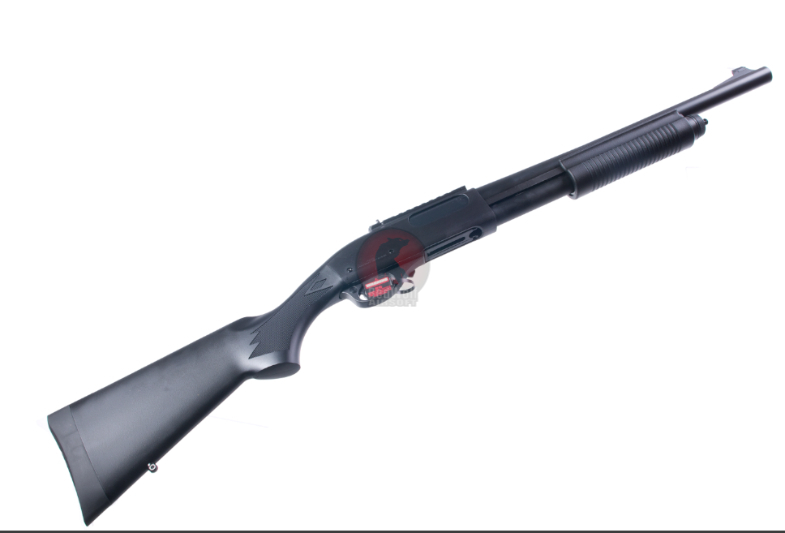 The good news is that this M870 can take green gas! One full charge can power up to 100 shots of 3 BB's at a time. 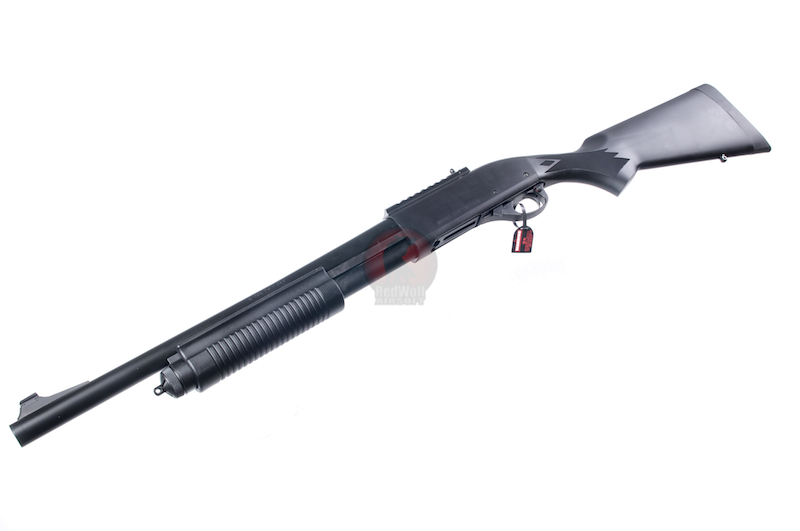 x1 x1 Tokyo Marui M870 Tactical Shotgun. 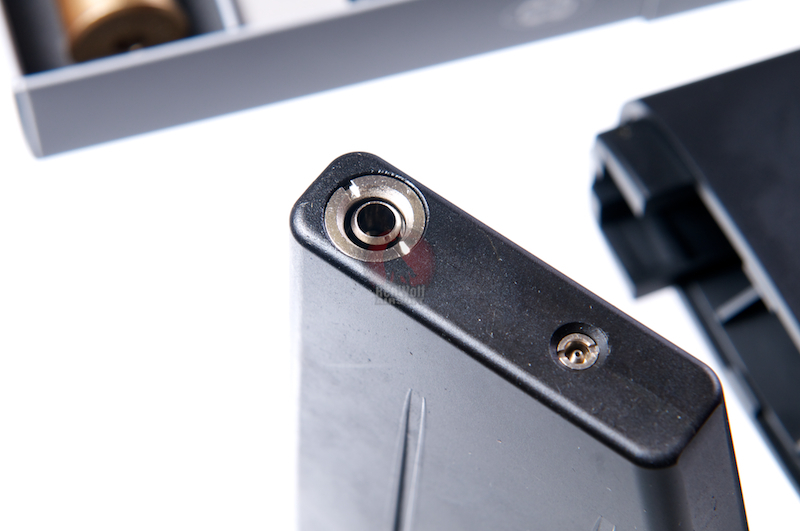 x1 x1 30 Rnd Cartridge. x1 x1 Bag of Marui Tester BBs.